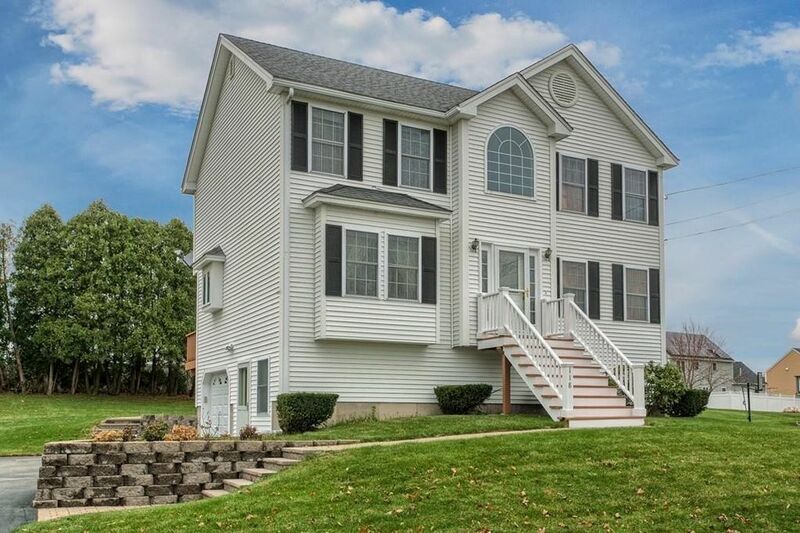 Welcome home to 118 Armstrong Avenue in Methuen. A DESIRABLE LOCATION less than a mile to Interstate 495, this well-maintained 2002 Colonial offers 3 Bedrooms, 2 Full Baths, 2,200 +/- SqFt of Living Space all on a 10,050 sf (0.23 acre) lot. --- This home features many upgrades including: hardwood floors, HUGE 31 x 14 rear Wood Deck, SPACIOUS cathedral ceiling Master Bedroom with Private Balcony, Ceramic Tile Baths, Lawn Irrigation System, Finished Basement, and Forced Hot Water Baseboard Heating by Natural Gas. --- The first floor offers an eat-in Kitchen, fireplaced Dining & Living Room, Family Room & Full Bath. The second floor offers 3 Bedrooms and a 2nd Full Bath. The Finished Basement offers a 2nd Family Room or Media Room, and a Home Office. The grounds are manicured, including plenty of hardscaping with stone retaining walls and walkways.